Khai Diep has no feelings. Well, he feels irritation when people move his things or contentment when ledgers balance down to the penny, but not big, important emotions—like grief. And love. He thinks he's defective. His family knows better—that his autism means he just processes emotions differently. 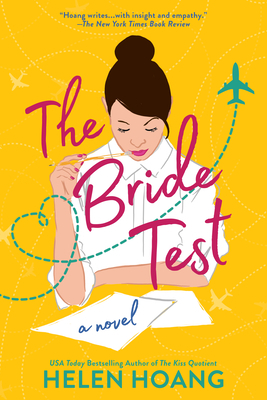 When he steadfastly avoids relationships, his mother takes matters into her own hands and returns to Vietnam to find him the perfect bride. As a mixed-race girl living in the slums of Ho Chi Minh City, Esme Tran has always felt out of place. When the opportunity arises to come to America and meet a potential husband, she can't turn it down, thinking this could be the break her family needs. Seducing Khai, however, doesn't go as planned. Esme's lessons in love seem to be working...but only on herself. She's hopelessly smitten with a man who's convinced he can never return her affection. With Esme's time in the United States dwindling, Khai is forced to understand he's been wrong all along. And there's more than one way to love. Helen Hoang is that shy person who never talks. Until she does. And the worst things fly out of her mouth. She read her first romance novel in eighth grade and has been addicted ever since. In 2016, she was diagnosed with Autism Spectrum Disorder in line with what was previously known as Asperger's Syndrome. Her journey inspired The Kiss Quotient.